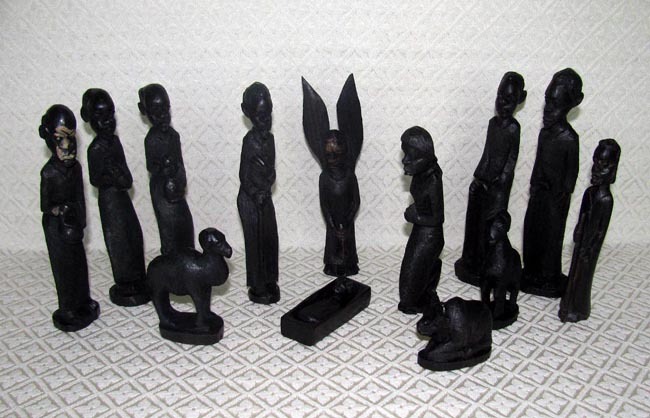 This Nativity was hand-carved from ebony wood by Josephy Banda in Blantyre, Malawi. In addition to being a carver, Josephy is also a talented painter. The set contains thirteen figures: Joseph, Mary, baby Jesus in a manger, an angel, three shepherds, a miniature ox, two sheep, and three kings. The Joseph figure measures 6.75 inches tall.